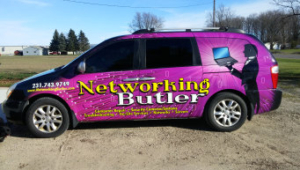 Networking Butler, Inc. offers full-service Commercial, Industrial, and Residential computer & server repair and support for Northern Michigan including Cadillac, Lake City, Marion, Clare, Harrison, Gladwin, Mesick, Manton, Big Rapids, Mount Pleasant, Traverse City, and the surrounding areas. We can come to your home or business for onsite service or we can work via remote access in most cases. As an alternative, you are welcome to drop your equipment off at our shop in Cadillac for in-shop diagnostics & computer repair service. We’ve recently expanded and are now serving parts of Lower Michigan including Ann Arbor, Troy, Brighton, and Howell! Networking Butler, Inc. has years of experience setting up commercial, industrial, and residential computer networks. Rely on us for comprehensive network services including: Network Wiring / Ethernet & Fiber Optic Cable Installation / Wireless Network Setup / Point-to-Point Links / Network Upgrades Installation / and Network tune-ups. Remote Monitoring & Support allows Networking Butler, Inc. to fix your problem quickly and efficiently. Our remote access tools allow our technicians, with permission, to control your employee’s computer to quickly diagnose and fix the issue. We have been providing outstanding, reliable technology services to our valuable clientele for over a decade. Let us help you design and implement a strategy for your business that will give you a competitive advantage. In today’s market, it is essential that your data is backed up and secure. Develop a network that will grow with your business. Protect your infrastructure, ideas, and investment by calling Networking Butler today…..you can’t afford not to! Our knowledgeable, professional and friendly support representatives provide timely service. We save you money and productivity, using our innovative strategy of proactive maintenance and progressive design. We provide on-site and remote support for optimal response to any situation. Our goal is to predict changing needs and prepare for them before a problem arises. We design infrastructures that allow you to grow with ease and stability. Protect your Network before its too late. Discover the power that peace of mind can bring. Call Networking Butler Today! !